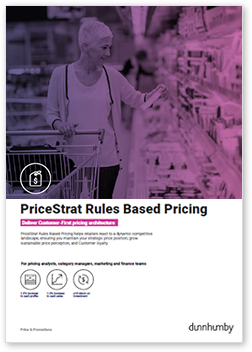 PriceStrat Rules Based Pricing helps retailers react to a dynamic competitive landscape, ensuring you maintain your strategic price position, grow sustainable price perception, and Customer loyalty. 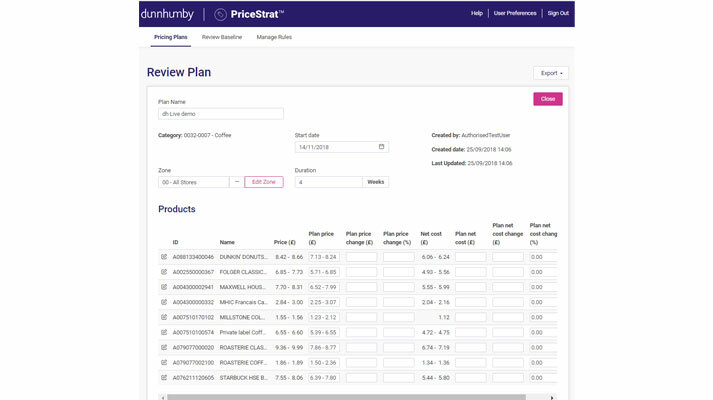 Powered by dunnhumby Customer Data Science, PriceStrat Dynamic Rules Pricing simplifies your decision-making and ensures that your shoppers are rewarded with consistently logical prices on the shelf. A sophisticated, automated pricing solution built on the best-in-demand science, so retailers can react quickly in today’s competitive environment. Establish and systemise complex competitor price rules with a flexible rules engine that sets and relaxes rules as needed. Model pricing proposals in real time towards a variety of business objectives and view forecasts inclusive of known promotional activity. Delivers a consistent pricing architecture across line priced families, different pack sizes, and own label positioning so that Customers trust your pricing. 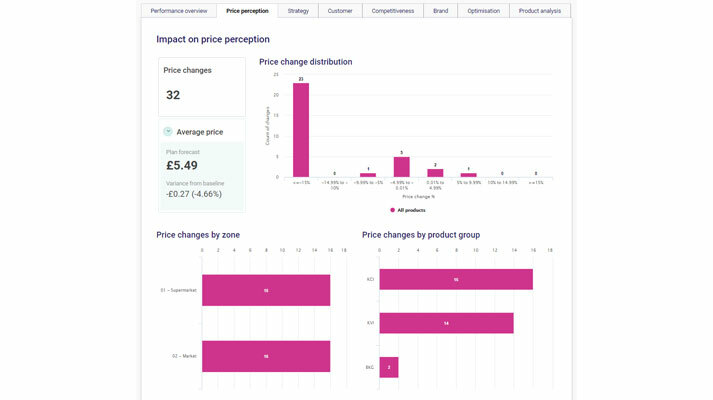 Define and configure price change triggers based on your rules to product level. Provides recommended changes based on rules, recent competitive surveys and/or cost changes. 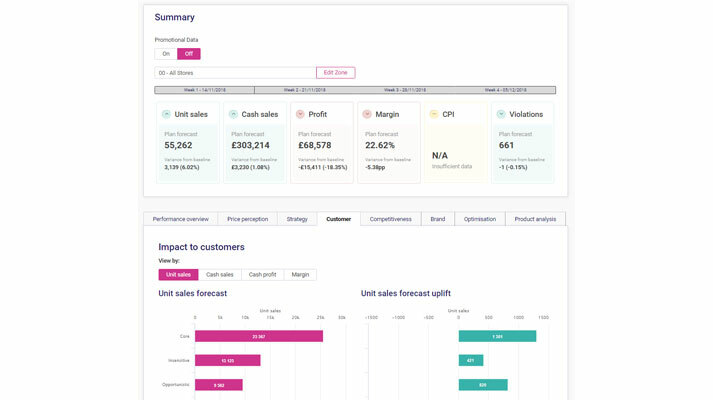 Quickly review rule violations and financial forecasts before implementing suggested changes.